Mountain Valley Therapy opened its doors in January of 1999. Created by David Ebel and Diane Warnock – who had worked together at Sundance Rehabilitation – the first clinic was located on Sunset Drive and was built to reflect their vision to glorify God while making a positive difference in the community through physical therapy, fitness, and outreach programs. Of the five members of the initial staff, David Ebel, Diane Warnock, and Ron Babcock remain with the company to this day. As its reputation grew in La Grande and in the surrounding region, the company continued to add new patients and staff and quickly outgrew the original location. In 2003, Mountain Valley Therapy took a big leap of faith and built its current clinic. In 2007, James Gorham joined Mountain Valley Therapy as an owner, chief executive office and physical therapist. In 2011, the owners decided to build on their vision and mission to the community by breaking ground on Mountain Valley Fitness and Health, which opened in 2012. The Fitness and Health facility was built with the intention of not only being the premier fitness facility in the area, but also to help discharged patients from Mountain Valley Therapy reach and sustain their health goals. The Fitness and Health facility also provided Mountain Valley Therapy with the ability to offer onsite warm water aquatic therapy services. In 2018, the Company made a big decision regarding the way it scheduled patient visits. Mountain Valley Therapy adopted a one hour one clinician scheduling policy, which means that you see your scheduled clinician for the entire hour of your appointment. You won’t get handed off to someone else. This change came as a request from both our patients and clinicians. The shift in scheduling has created happier patients and clinicians. Affiliates of Mountain Valley Therapy include Kevin March of Blue Mountain Acupuncture and Glenda O’Connor of Turning Point Acupuncture. 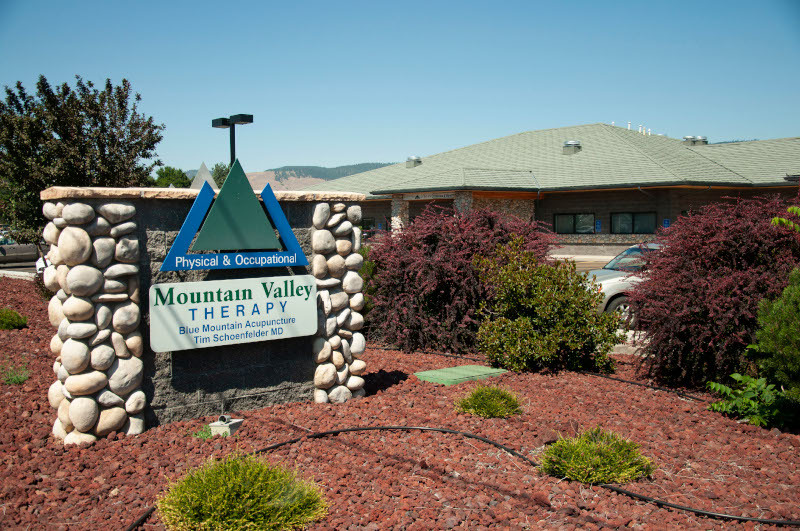 Mountain Valley Therapy continues to grow and offer state of the art physical therapy and sports medicine services. We currently have seven physical therapists and six physical therapists’ assistants who have a multitude of specialties. In total we have thirty employees who feel like family and work together as a team to provide the best physical therapy healing experience possible in Eastern Oregon.